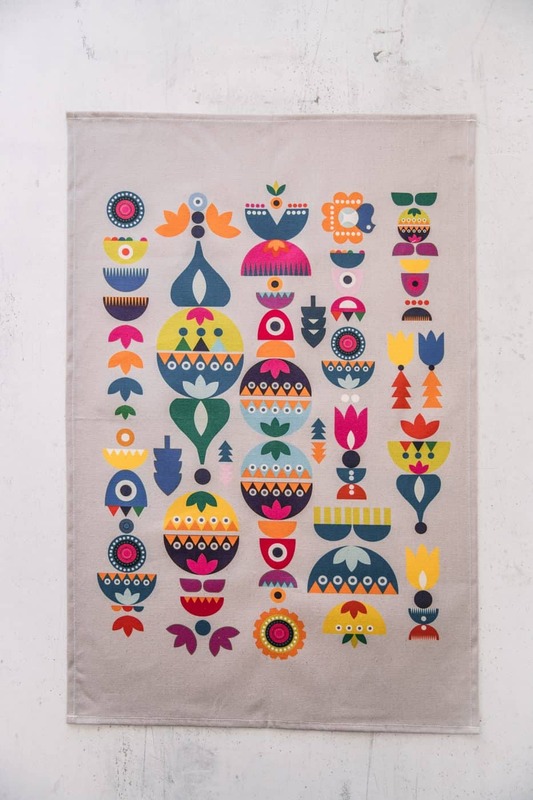 A 100% cotton tea towel that immediately injects colour and happy vibes into the kitchen. 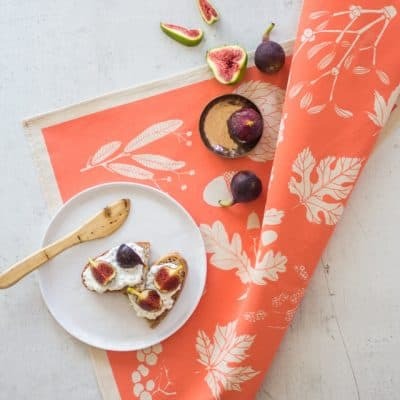 Inspired by Scandinavian shapes and Eastern European folklore patterns, this delightful Solstice design creates a universally charming style that’s evocative of the early 1970s. 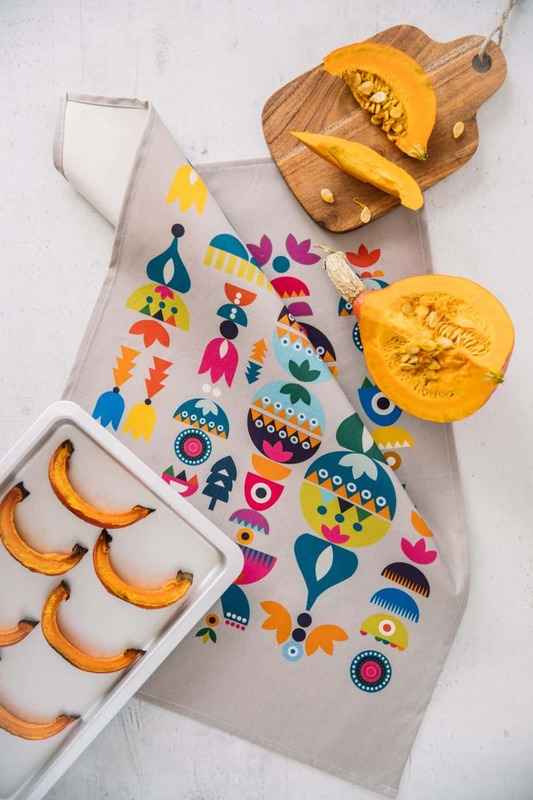 Create a delightful kitchen set that will get all of the happy vibes going with the Solstice matching apron and oven mitt. Read more about Softer + Wild here. Currently shipping Australia wide (flat rate of $11), Asia (flat rate of A$10), North America (flat rate of A$10) and Europe (flat rate of A$6.30). Accurate shipping costs will be calculated at checkout. We ship via Royal Mail - Standard shipping, delivery 5-7 days. 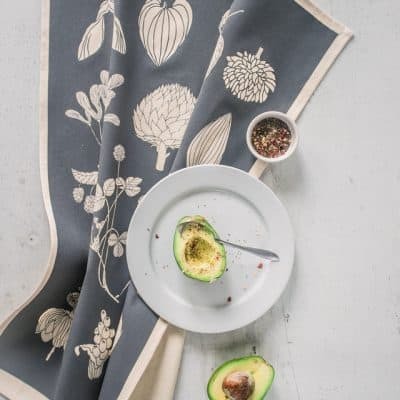 RETURNS All our products are made with great care and we hope you love them. However, if for any reason you are unhappy with your purchase please return it, in its original packaging, unused, within 14 days for a refund or exchange to: Whilte Lodge 3-7 60 Compton Avenue Brighton BN1 3PS. Purchases will still need to be in a resalable condition, and we may make partial refunds in some cases. If you properly exercise your right of return, we will issue a full refund, including the original cost of delivery, within 14 days of receiving the returned item, or evidence that the item has been shipped back. Please note that we will not refund the postage fee to return our products, except if they are faulty or if you have received a wrong product. As we are located in an EU member state (the UK), our Returns Policy is in accordance with the Consumer Rights Directive 2014. Please allow up to 10-15 days for a full refund from date of receipt of goods. If you are returning any goods please retain your proof of postage as we cannot be responsible for any goods lost in transit without proof of sending. 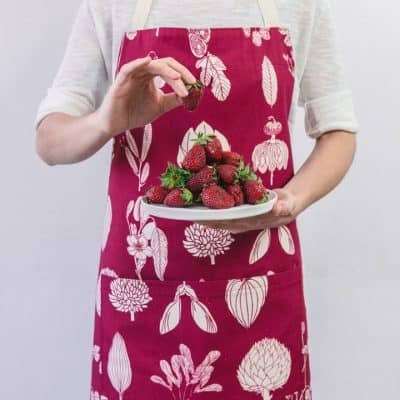 Please email hello@softerandwild.co.uk or phone the studio on 07903686347 if possible if you are returning any items so we know to expect them.